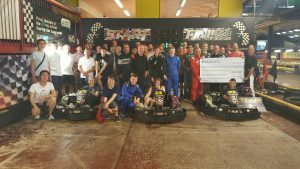 Last weekend 11 teams took part in a spectacular 2 and a half hour endurance race at Fastlane Karting, Fenton, to help raise funds for our project. Thanks to all involved, particularly our trustee Brice, for their support. A grand total of £560 was raised and a lot of fun was had! This money will go directly towards delivering this phase of our community restoration project.